Immunity is dependant on the healthy interaction of the body's major systems. Each system must be healthy and able to interact in order for the body to effectively fight off illness and disease. Nature's Way System Well is a specially formulated blend of herbs and nutrients designed to enhance each system's health in order to promote overall healthy immunity. System Well maximizes the health and immunity of the epidermal system, respiratory system, digestive system, systemic system, circulatory system, cellular system, and Lymphatic system. Each body system has an imprtant role to play in keeping the body healthy and safe from disease. 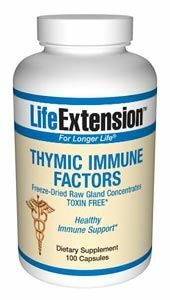 System Well ensures maximum health for all the body's systems and promotes healthy immunity.